The water retention of artificial substrates is an often overlooked, yet important factor, to consider in grow room design. This is a fact in vertical farming and aquaponics operations, as well as cannabis and food production. Modern gardeners choose their cultivation mediums based on several factors. These factors mainly have to do with operational logistics, fertigation programs, and environmental constraints. 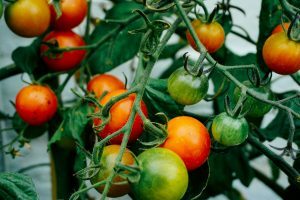 When planning a hydroponics garden, all these factors should be considered before deciding to purchase artificial substrates in bulk. To illustrate, organic soils are attractive in a logistical sense because the same soil can be reused each growing season. However, when it comes to accuracy with fertigation programs, soils inhibit accurate feeding schedules. Because, they are often heavily amended with fertilizer products. Conversely, artificial substrates generally don’t perform well outdoors in hot, arid conditions. They don’t retain water well enough to support plant growth in such extreme climates. For hydroponics cultivation, in cannabis and beyond, the use of artificial substrates is consistently growing in popularity. Most CEA horticulturists favor the use of these substrates because they are “inert.” This means they contain nearly no additional fertilizers or amendments. Point being, most artificial substrates allow growers exact control over what they are feeding their plants. This is an obvious extension of CEA methodology. The most popular types of artificial cultivation mediums are coco noir, Rockwool, Pro-Mix, clay pebbles, and perlite. t of successful irrigation and fertigation regimes. Yet, most horticulturists don’t have the luxury of implementing “trial and error” runs to decipher how water retention in artificial mediums will affect their garden’s overall performance. 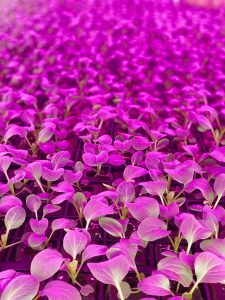 To shed some insight into the complexities of artificial substrate growing regarding water retention, we reached out to highly-accomplished aquaponics horticulturist Doug Millar. Over the past 20 years, Millar has worked in various capacities related to hydroponics cultivation. This experience includes commercial floriculture cultivation, greenhouse equipment design, aquaponics, and vertical farming. Of the forms of artificial mediums mentioned in this article, which is the most difficult to use and why? To again look to the list of artificial mediums, which type retains the most water? Which type retains the least water? Would this be the best choice for growers in carefully controlled, indoor settings? How does water retention in artificial mediums effect nutrient uptake for in hydroponics cultivation? Do you utilize artificial mediums with your aquaponics projects? How is your choice of medium related to water retention? You are based in California, a State with obvious issues concerning water shortages. Looking at horticulture with a conservationist’s stance, would you say that artificial cultivation practices “waste” more water than traditional soil growing? As can be seen, hydroponics cultivators face a plethora of choices in deciding what sort of growing medium is right for them. For Millar and others, many of these choices can be boiled down to water retention issues. Judging by the advice of Millar, a good starting point in understanding how water retention in artificial mediums effects plant growth is by considering both environment and container size. These two factors directly influence the performance of any substrate. Also, different plant species and cannabis strains react differently to wet and dry root zones. All things considered, it seems that successful hydroponics cultivation will have to account for all these unique operational factors in understanding overall garden performance. This article originally appeared in the September 2018 issue of Maximum Yield Magazine.